Hi y’all, and welcome to another round of Project #SewMyStyle! 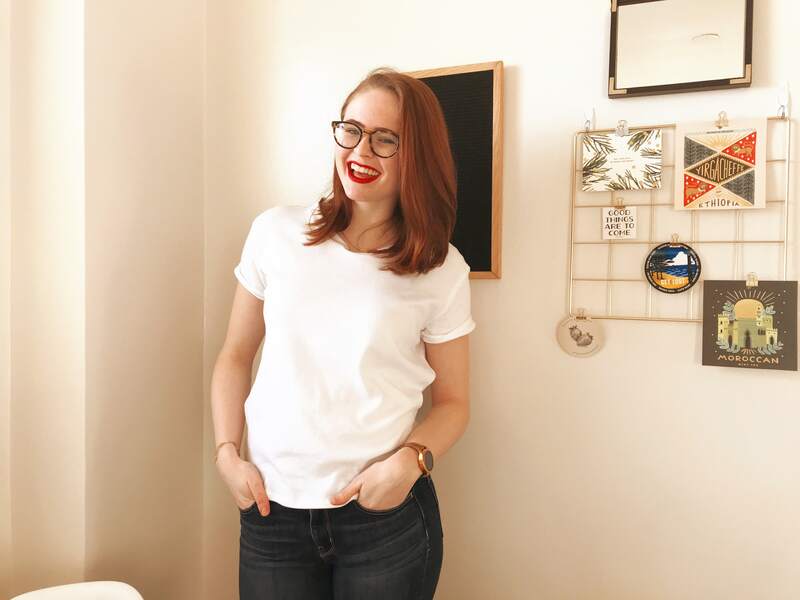 Project #SewMyStyle was started in 2017 by Alex of Bluebird Fabrics in the UK. Each month, sewists around the world made the selected garment. On the last Sunday of the month, they shared their make on Instagram. Although Alex is unable to continue the project this year, we’re keeping it going. Jessica of Jessica Lorraine is leading the charge, and she’s selected six other sewists to help her coordinate this year’s project. And I get to be one of them! Woo hoo! Playing along with Project #SewMyStyle is super simple. Each month, we all sew the same pattern. On the last Sunday of the month, we share our garments on Instagram with the tag #sewmystyle2018, and/or in our VIP Facebook group. Then, the other leaders and I will select a winner to receive an awesome prize! Along the way, the leaders will share inspiration shots, fabric choices, pattern hacks, and maybe even a sew along or two to help you through. I’ll be sure to link back the blogs/vlogs here so that all the good stuff is in one spot for you. To get access to exclusive discount codes for patterns and fabric, as well as our VIP Facebook group, head on over to Jessica’s site and sign up for the #SewMyStyle2018 newsletter! Lovely Jessica Lorraine (@JessicaLorraine01) is our #SewMyStyle2018 coordinator, and we have her to thank for not letting this die! Sarah (@likesewamazing), Laura (@petitepassions), Charlotte (@charlottewhincup), Elizabeth (@pinsandpinot), and Catherine (@threadsnips) are the other leaders. I cannot wait to spend a year working alongside these amazing and inspiring women to encourage people to take up sewing. Click here to be taken to a running list of the posts for each month. If you want to get into the #SewMyStyle2018 spirit, check out my archives for posts from 2017’s round! There’s lots of great pattern hacks and reviews in there. The full prize schedule is still being finalized. Photos tagged with #sewmystyle2018 on Instagram and Facebook before 11:59 in the location of posting are eligible for entry. Posting with that hashtag confirms you are above the age of 13. Neither Instagram nor Facebook is affiliated with Project #SewMyStyle in any capacity, and participants release both companies of any responsibility. There are no cash alternatives to these prizes, nor substitutions. Winners are responsible for customs and shipping fees. Private Instagram accounts and accounts used solely for giveaways are ineligible for these prizes. The hosts and sponsors reserve the right to alter prizes, timelines, or other elements of the event at their discretion.